View More In Standard Playing Card Decks. 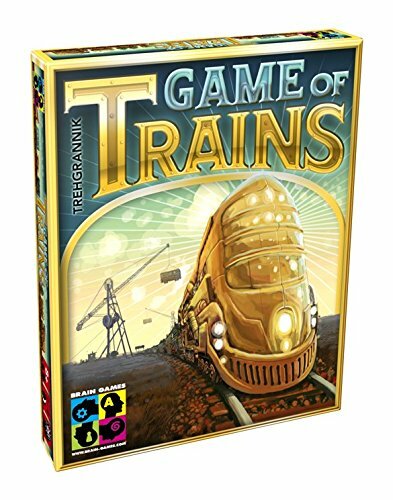 Game of trains is a family card game where each player is in charge for his line of trains. The cards have super abilities that bring fun, thrill and surprises to the game. Who will be the first to get the train cars line in order? While changing your railcars in ascending order, you have to be observant for what your opponent's moves are and smart to use card's abilities to help your train or to stop your opponents from winning. Choo-choo let's get going! If you have any questions about this product by BRAIN GAMES, contact us by completing and submitting the form below. If you are looking for a specif part number, please include it with your message.